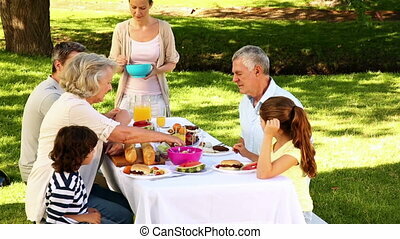 Family stands on bridge in park and looks away. 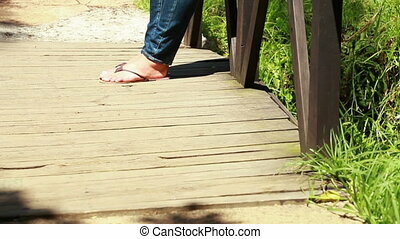 Family of four stands on bridge in park and looks away, profile. 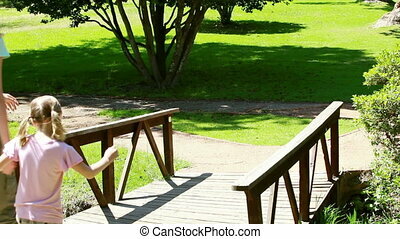 Couple in love stands on a bridge in the Park, birds flying in the background, Slow motion. 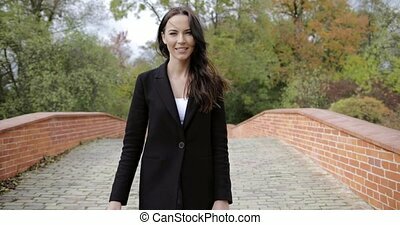 Attractive woman in black jacket standing on brick bridge and looking at camera during her walk in autumn park. Happy diverse family with two adorable mixed race daughters standing on wooden bridge and admiring view while spending leisure in travel destination during summer vacation. Smiling pregnant family standing on pedestrian bridge and looking at view over urbanscape background. 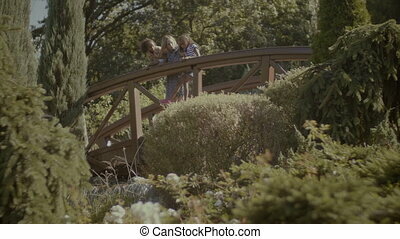 Romantic future parents expecting baby, spending great time together on the bridge in park. Tattooed sportsman with beard walking then sitting on a bench in a city park, looking away in sunlight outdoor. Attractive woman in black jacket standing on bridge and smiling playfully for camera during her walk in autumn park. Young beautiful girl walking on the bridge across the lake in the Park. She sings the song. 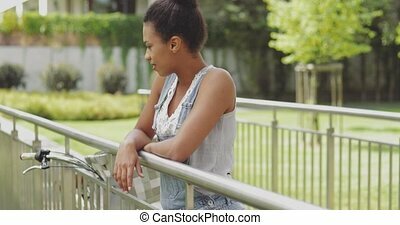 Young content model leaning on metal fence if bridge in park with bicycle standing near and looking dreamily away. Attractive cheerful woman in black jacket standing on brick bridge and smiling for camera during her walk in autumn park. Lovely wedding couple stands in embracess on the castle's balcony. Slowly.